I was introduced to online shopping just 2 years ago and now I feel it very convenient to shop apparel, accessories, electronics, books etc, online. Basically, it is both time pass and time saving. You may ask, How? When I feel bored, I just browse across all collections and of course, will end up buying on :) this way, it is a time pass. When I don't have time to roam different malls, I prefer online shopping instead of waiting for another free weekend to go to malls. It all started with colleagues in the office looking at different nice collections of apparel online. The first sites that attracted us were fashionandyou.com and myntra.com. The first one seemed expensive, whereas myntra.com seemed economical and has good offers. There was an extra discount for the first time users. I placed an order but apprehensive about the quality of the item. The quality of the product was good and the kurta that I ordered fitted me well. For every new site that I try, I first place an order for an amount less than Rs. 500 or so, check the quality and then continue shopping. Another good one for ladies apparel is jabong.com from where ordered many tops and kurtas. For apparel, the major risk is quality and fitment. Usually, many sites give you measurement charts to compare and select the proper size. Also, it is important to understand the return policy. If size doesn't fit or quality doesn't match, we have the option to return it and get a refund in many sites. For accessories, we should be very careful. The size of the item is very important and sometimes we cannot predict the size by looking at the photo displayed in the website. Pendants, ear rings, home decors like candles etc., might look bigger because of zoomed high clarity picture posted in the site, but we will get disappointed after receiving the product. For jewelry, we cannot be sure of the quality of stones they mention. So, usually I avoid shopping this kind of things online. When it comes to electronics, I check 'deal of the day' in snapdeal.com. Once, I received a memory card reader for a very low price and it is working very well. In the US, I prefer amazon.com and recently I ordered a smart phone which I received in excellent condition. When it comes to books, which I love to shop online, my first and best option in India is flipkart.com. I like the look and feel of the website, their excellent deals, simple packaging and fast delivery. In the US, ebay.com has great deals on used books. For photo prints, photo mugs, photo calendars etc., we have many sites now, but zoom.in and picsquare.com are good ones. Yes ramya! online shopping really saves a lot of time. but we hav to be cautious abt the reliability of the sites whn u r giving credit card info. I wl add few other sites which i tested n tried. For photo prints, photo mugs, photo books n other photo related items artscow.com is good. For kids related items including toys, dresses n books firstcry.com is good. here we can pay them after delivering the goods. Ya Jyothi.. we need to be cautious about some sites. I completely forgot firstcry.com :)they have very good offers on diapers and dresses for kids. Thanks for mentioning a new site artscow.com, need to try. Very nice post...i have found a good website for online shopping.. This is really a great post.The trend of online shopping is raised now.There is some new shopping store also (apart from you listed above)offering great deals. 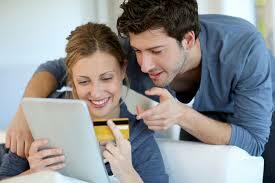 Nice blog on online shopping with benefits. If you love sunglasses then Buy Stylish Sunglasses Online at affordable price.